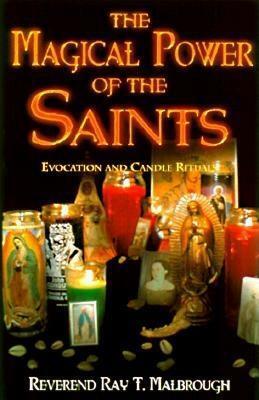 The book The Magical Power of the Saints: Evocation and Candle books was an interesting read. It was just what it states its about. The book focuses on Saints and candle magic and nothing else. THis book never claims to be Hoodoo or anything than working with saints which is excellent. Its a great introduction guide for working with saints and gaining spiritual knowledge from the practice of working with saints. Before I read this book I knew about maybe two or three saints. I knew of Saint Joan of Arc, Saint Jude, and Saint Paul. This book while not providing detailed information about the saints provides information on 74 different saints that can be worked with for spiritual and practical gains in our lives. The information provided is direct and to the point. This book contains 11 different chapters. Each of the chapters focuses on a different aspect of what the author calls “popular religiosity” or the working of religio magic or magic with the saints. The topics of the chapters are varied but provide a cohesive system for working with saints. The book gets started right away in the first chapter by talking about working with saints and deities. The author begins by telling you a bit about how ancient pagans gave offerings to deities and spirits when asking for something. The author then goes on in to how the saints started to have the same roles and practices used with them. This is popular religiosity. From there he gives a list of saints some with images and some without with their associations, colors, and what they are patrons of. You can start formulating your work right away. 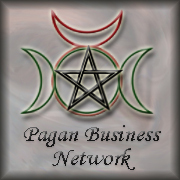 The second chapter deals with the practice of divination before doing any sort of working. Now this is not just about telling things based on as they appear with the cards or tool used. This discussion of divination includes finding out what sort of offerings to give, blocks in the way of the working, and the proper saints and spirits to work with. This chapter also discusses the importance of the diviner priest to know magic and divination. The third chapter focuses on ancestors and the dead. The author explains how prayers to the ancestors can work with a biblical verse. The author then talks about a concept called the “Mighty dead” which is found in various traditions of witchcraft. He relates this concept to working with saints and ends the chapter with a prayer you can offer to your ancestor for working with them. The fifth chapter is really three chapters together. This chapter focuses on reading the signs in the candles as they burn, several different candle spells, and oils for working the candles. This is the spell and correspondence section of the book and provides different spells and rituals for basically every need. The sixth chapter focuses on the use of the psalms in the bible. The author doesn’t go into a discussion about the use of the psalms merely states that they are a historical magical use. The author then provides a list of the different psalms that can be used in spells and candle work for various needs. They are grouped by need or use in numerical order. The seventh chapter focuses on aspects of ritual. Here the author talks about incenses, baths, and washes. These are components of different magical practices that can be obtained and add benefit to the other workings. Here the author introduces the concept and how to be ware the costs of those selling washes, baths, and the like. The eighth chapter is all about putting the practices together. Here the author talks about working with planetary hours on the days. The author also includes arch angels and the hours and items they can be petitioned for. The author also includes ideas on how to make prayer beads and work effective magic that way. The ninth chapter is about becoming a diviner priest or priestess. Here the author goes into the training that is required to become a diviner priest or priestess. the author also provides a simple but also diverse divination style that a diviner priest or priestess may need to be familiar with in order to complete their training. The tenth chapter of the book is all about the church that the author is a reverend of. The author includes photo copied images of his certifications to prove he can teach what he teaches and is what and who he says he is. The last chapter in the book is a final set of advice. Here the author gives a final bit of advice for when seeking the help of a professional root worker, witch, or what ever. Not everyone who offers these services is what they say they are. All in all the author provided a good basis to start delving into your own work with saints and angelic spirits. While there could have been more lore provided for the various saints and more information about the herbs and incenses and oils, the book will get you started on the path of working with saints and angelic forces. When you combine this work with the recommended reading list the author provides more then enough sources and information to begin feeling comfortable in these practices. Posted on August 30, 2014, in Angelic Magic, Angels, Christian Magic, Developing a personal spiritual path, Folk Magic, Hoodoo, Prayer, Prayer as magic and tagged book review, folk magic, Hoodoo, magic, spiritual developement, Spirituality. Bookmark the permalink. Leave a comment.